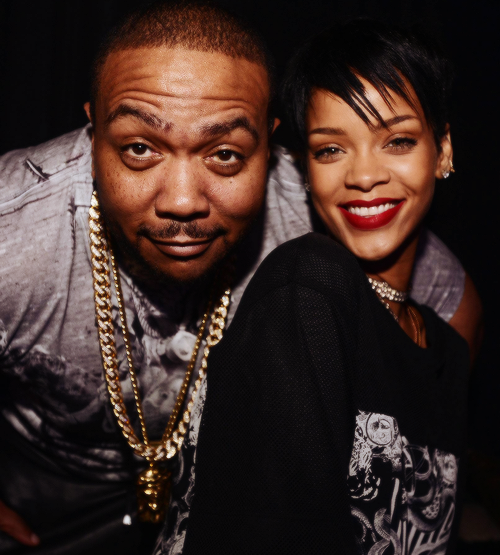 Rihanna arrived at a New York music studio at 2am last night (08.07.15) to meet with her Labelmate in RocNation SuperProducer Timbaland - who has worked with the likes of Katy Perry, One Republic and Justin Timberlake - to record some new music For Her Album R8. It's not the first time the pair have worked on tracks together as the singer's hit 'Rehab' was created with the help of the producer. 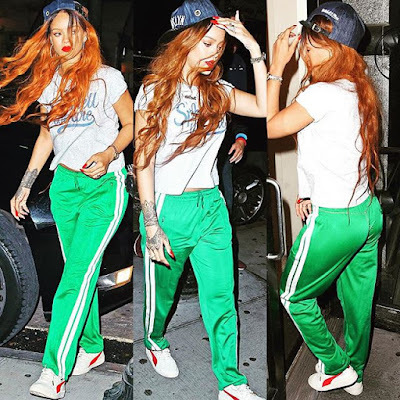 Wearing PUMA, Rihanna was photographed leaving her New York City apartment and heading to a recording studio on Tuesday (July 7), where she reportedly met producer Timbaland.